The powerful 8-bay, quad-core TS-832X includes two 10GbE SFP+ ports to fully support 10GbE high-speed networks at a budget price with maximized ROI. It is also an ARM-based NAS that supports Qtier™ technology for efficient auto-tiered storage. The PCIe slots extend greater application potential, for example, by installing QNAP's new PCIe wireless network card QWA-AC2600 the TS-832X is transformed into a convenient wireless base station that allows devices to directly connect to the NAS for easy access to its services and Internet connection. The TS-832X is equipped with an AnnapurnaLabs, an Amazon company Alpine AL-324 quad-core 1.7 GHz Cortex-A57 processor with 2GB/8GB DDR4 RAM (upgradable to 16GB) and supports SATA 6Gb/s. When processing AES 256-bit full NAS volume encryption, the TS-832X also provides unmatched encryption performance while ensuring the safety of sensitive business data stored in the NAS. The TS-832X comes with two 10GbE SFP+ ports to fully support 10GbE high-speed networks, delivering a major speed increase for virtualization tasks, fast backup & restoration, and large-data applications. The TS-832X features two PCIe slots (1 x PCIe Gen2 x1, 1 x PCIe Gen2 x2) that allow for installing various expansion cards for greater application potential. 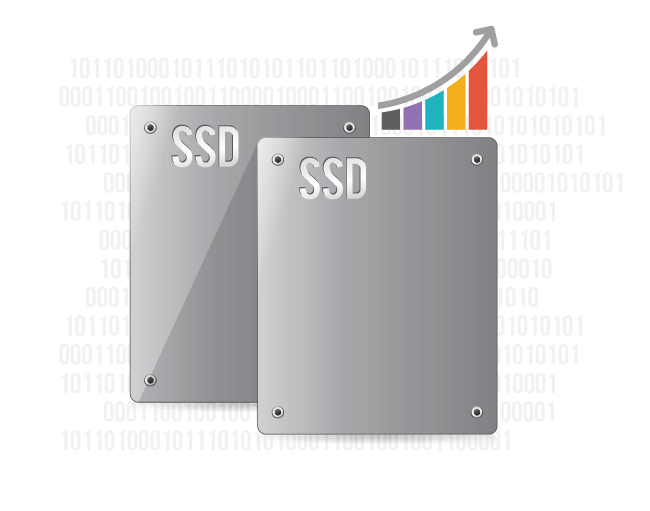 The TS-832X supports SSD caching to improve the workflow of random IOPS demanding applications. Qtier™ Technology empowers the TS-832X with automatic tiering that continuously optimizes storage utilization across high-performance SSD and high-capacity SATA drives. 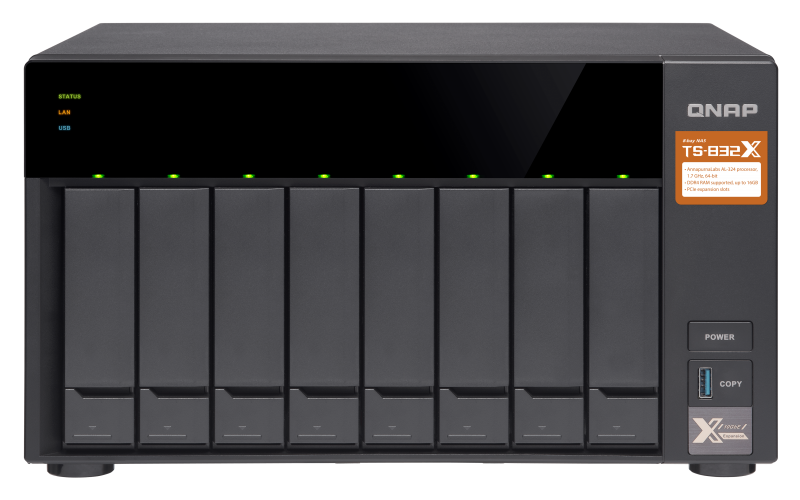 The new Qtier™ 2.0 features IO-awareness that empowers SSD-tiered storage with a cache-like reserved space to handle burst I/O in real time, greatly maximizing the advantages of SSD. 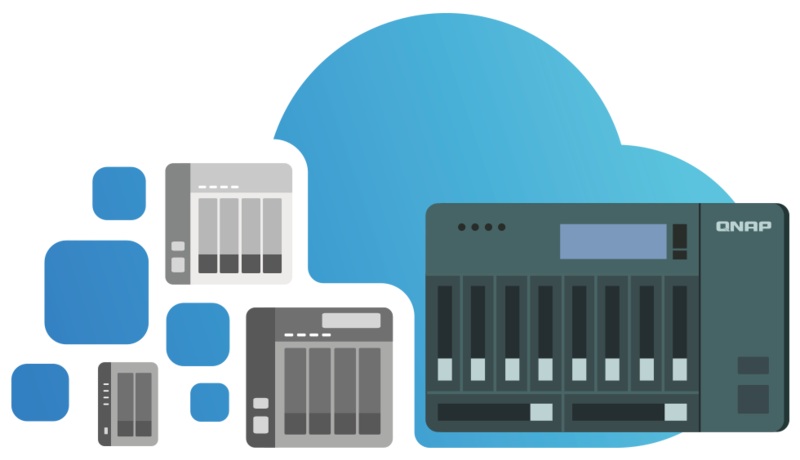 Essential for NAS data protection, snapshots help protect your data by fully recording the NAS system state and the metadata. 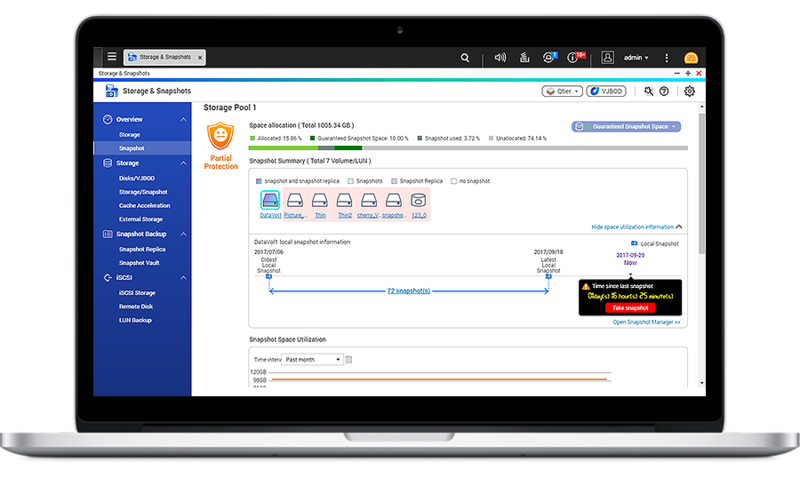 You can use the Storage & Snapshots Manager or File Station to easily manage snapshots and quickly restore the system to its normal state if an error occurs. QNAP snapshots are block-based and only record the changed data. Not only does this save storage space but also reduces the time required to back up and restore data. QNAP VJBOD (Virtual JBOD) is network-based JBOD, allowing you to expand the storage capacity of your QNAP NAS with unused storage space from other QNAP NAS. The unused storage capacity of the TS-832X can be mounted as local disks in other NAS, and you can create virtual storage pools and volumes for operating NAS services to maximize storage utilization. Note: ARM-based NAS do not currently support the VJBOD "Host" function to utilize other NAS storage space. Use the free QNAP NetBak Replicator utility to back up/restore files from Windows® computers. Time Machine® is also supported for Mac® users. It is easy, fast and convenient. Download the QNAP TS-832X Specification Sheet (PDF).